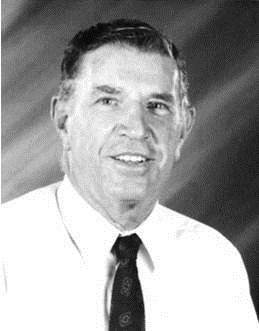 The King's Academy was founded in 1991 by a group of parents and Jack McBirney, our first principal. Jack had been the principal and founder of San Francisco Christian School. He and his wife, Allegra, felt the call of the Lord to begin another Christian school in the South Peninsula. Through the hand of God, they were linked with a group of parents who saw the need for a school specifically designed to meet the needs of their adolescent children - a school marked by quality academics and a strong commitment to biblical principles. 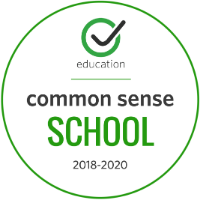 These founders wanted to create an independent school in the Bay Area where families could feel confident that their children would not only be well educated, but also well loved and supported. The independent school opened its doors with 29 students (grades 7,8,9) , three teachers, a secretary, and a principal while renting space from Union Presbyterian Church of Los Altos. Over the last 26 years, The King’s Academy has grown to over 950 students. 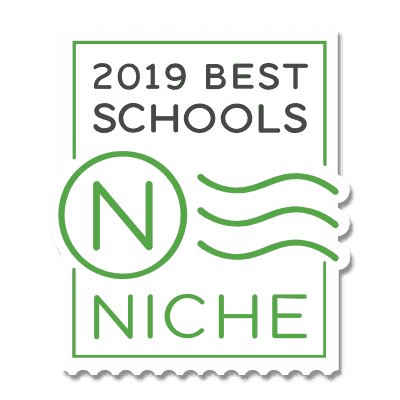 Although a relatively young school, we are thankful for the excellence we have achieved and for which we continue to strive. The King’s Academy accomplishes this through a challenging college preparatory program, a visual and performing arts department well known throughout the Bay Area, competitive California Interscholastic Federation (CIF) athletics with a myriad of league and division titles, and a spiritual life component which fosters a mentor relationship between teacher and student. The King’s Academy is fully accredited by ACSI and WASC and offers a variety of AP and Honors Courses, educational trips, and service opportunities to other states and countries. Class sizes remain small, averaging 24 students. 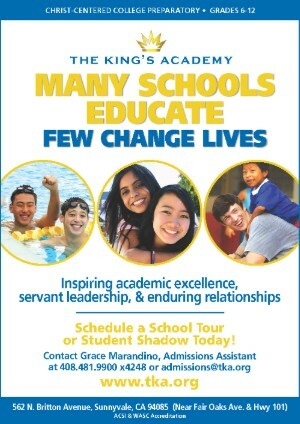 The distinguishing feature of The King's Academy is, and always has been, its commitment to a different standard. The King's Academy is striving to achieve something in the area of character development with its students by providing opportunity for relationships with mature Christian men and women. The expectation is that teachers and staff will seek out students, both inside and outside the classroom, and that students will see Jesus in the lives of those around them. This relational ministry will attract kids to Christ. The overarching purpose and goal of The King's Academy is "to transform lives through Christ-centered education." This concept still fuels all that occurs at The King's Academy. All those employed or involved in leadership believe that the Lord Jesus Christ, to whom this school is dedicated, would expect nothing less than the full energy of all involved working towards the common goal. We live fully expecting that miraculous things will occur in the lives of students as they invest their time here at The King's Academy. View Key Dates in TKA History.